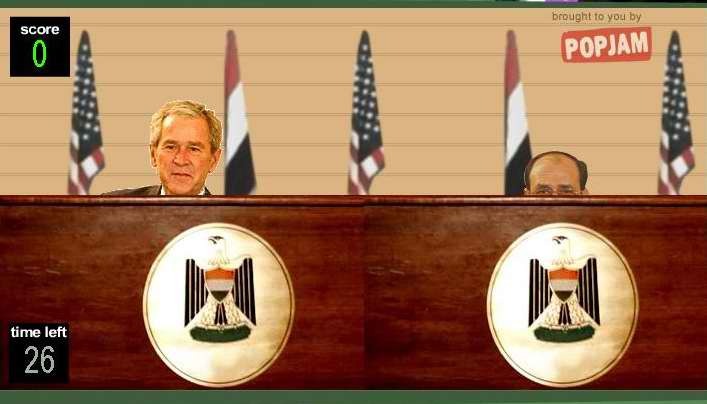 After ducking a pair of shoes hurled at him during a farewell news conference in Baghdad, United States President George W Bush is now up against online gamers. 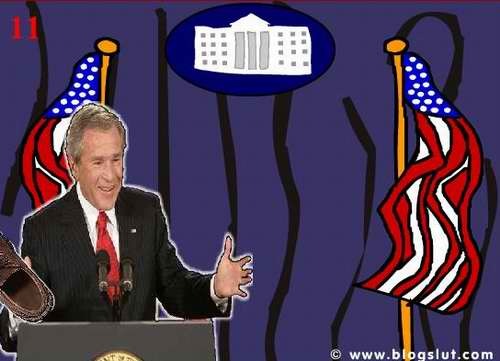 In case you were feeling a little guilty about mocking the incident (we know you weren’t), the background music of Bush soundbites set to music should remind you why it’s okay to laugh at Bush’s expense. 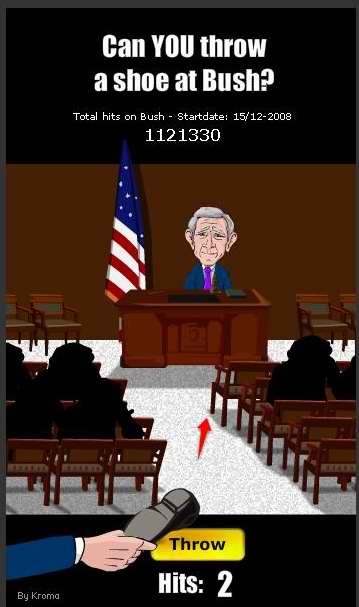 W Bush sure got some reflexes. Let see whether you can beat him this time! 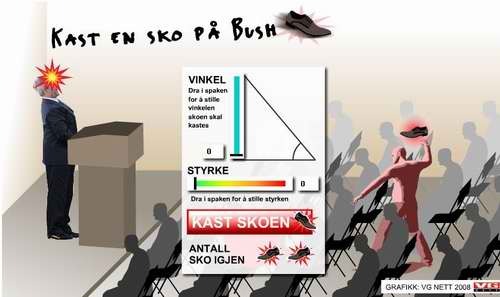 3) Can you throw a shoe at bush?